Love my Baja Subaru. ......It handles well in snow and ice. There are not a lot of these Baja left and love having a back area to haul things if I need to. It does have comfortable seats to sit in to. My car drives very well. It's like a car and truck combined. It handles really well on hi way and has a fairly large back seat. We had low maintenance on it since we purchased it. It gets good gas mileage for long distance traveling. We can haul a lot of stuff in the back to the dump or if we are trying to haul stuff off. It's really cute fun car to drive and have no plans to sell that happy with it. My car is the ultimate soccer mom van. It is reliable but was stolen at one point so now is not in the best condition. Still drivable and runs fine but has electrical damage for sure. ON CERTAIN PASSENGER AND SPORT UTILITY VEHICLES, THE COVER BOLTS FOR THE ENGINE OIL CONTROL VALVE MAY NOT BE SUFFICIENTLY TIGHTENED, ALLOWING OIL TO LEAK FROM AROUND THE COVER GASKET. IF LEAKING OIL CONTACTS COMPONENTS OPERATING AT HIGH TEMPERATURES, A FIRE COULD RESULT IN THE ENGINE COMPARTMENT. DEALERS WILL INSPECT AND RETIGHTEN THE OIL-FLOW CONTROL VALVE COVER BOLTS. THE RECALL BEGAN ON OCTOBER 8, 2004. OWNERS SHOULD CONTACT SUBARU AT 1-800-782-2783. 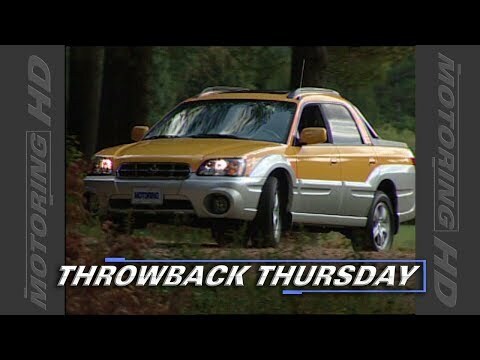 Subaru of America, Inc. (Subaru) is recalling certain model year 2003-2004 Legacy, Outback, and Baja vehicles originally sold or that have ever been registered in Alaska, Colorado, Connecticut, Idaho, Iowa, Maine, Massachusetts, Michigan, Minnesota, Montana, New Hampshire, New York, North Dakota, Oregon, Rhode Island, South Dakota, Utah, Vermont, Washington, Wisconsin, and Wyoming, or "Zone C.". These vehicles may be equipped with certain air bag inflators assembled as part of the passenger frontal air bag modules, and used as original equipment or replacement equipment. In the event of a crash necessitating deployment of the front air bags, these inflators may rupture due to propellant degradation occurring after long-term exposure to absolute humidity and temperature cycling. Subaru will notify owners, and dealers will replace the passenger frontal air bag inflator, free of charge. The manufacturer has not yet provided a notification schedule. Owners may contact Subaru customer service at 1-856-488-8500. Subaru's number for this recall is TKC-16. Note: This recall covers vehicles that were not previously covered in 16V-358 for Zone A or 16V-359 for Zone B.
Subaru of America, Inc. (Subaru) is conducting a recall of certain model year 2003-2004 Legacy, Outback, and Baja vehicles as well as certain 2004 Impreza (including WRX/STI) vehicles, equipped with Takata-brand front passenger air bag inflators. Upon deployment of the passenger side frontal air bag, excessive internal pressure may cause the inflator to rupture. Subaru will notify owners, and dealers will replace the inflators in all affected vehicles, free of charge. The manufacturer has not yet provided a notification schedule. Owners may contact Subaru at 1-800-782-2783. Subaru's number for this recall is WQL-48.